Sign up and receive Property Email Alerts of Apartments for sale in Craighall Park, Johannesburg. Spacious, secure and renovated, 2 bed 2 bath apartment in a tranquil setting. Living has never been easier. 116m2, comfortable, spacious and secure apartment with well sized North-West rooms. Open plan dining and lounge with parquet floors onto balcony with views. 2 double bedrooms, 2 bathrooms, main en suite. Close to Rosebank CBD, Dunkeld West Centre, Hyde Park and cafe culture of Parkhurst. Within walking distance for daily grocery shopping or quick visit to pharmacy. Secure with one covered dedicated parking bay and additional off street parking space patrolled by CAP's security cameras. Suitable lock up and go for those winding down or for those winding up! The building is receiving substantial renovations like a new lift, new control access, new security measures, new floors, new lightings ...thanks to the new management. Fibre installed. The recreational parkland Delta Park is in proximity as well as walkways at the Braamfontein Spruit at the north-west corner of the suburb. The area is lush and leafy with established gardens and old oak trees. 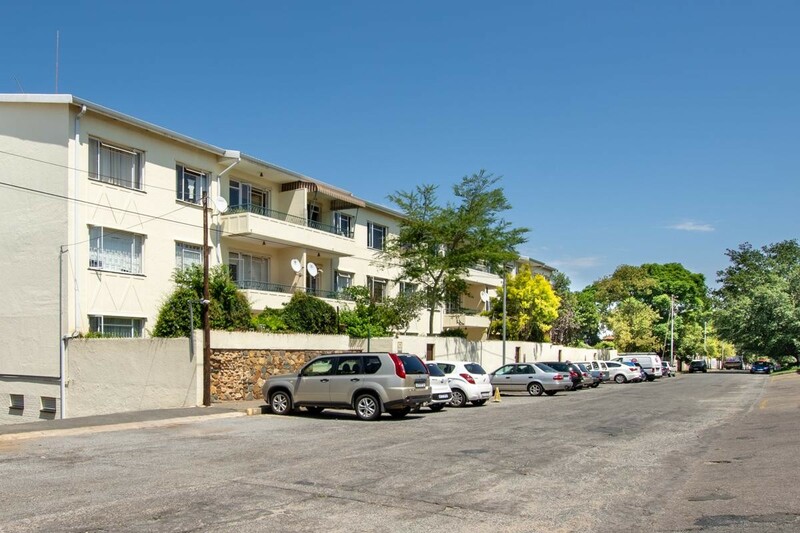 Sign-up and receive Property Email Alerts of Apartments for sale in Craighall Park, Johannesburg.